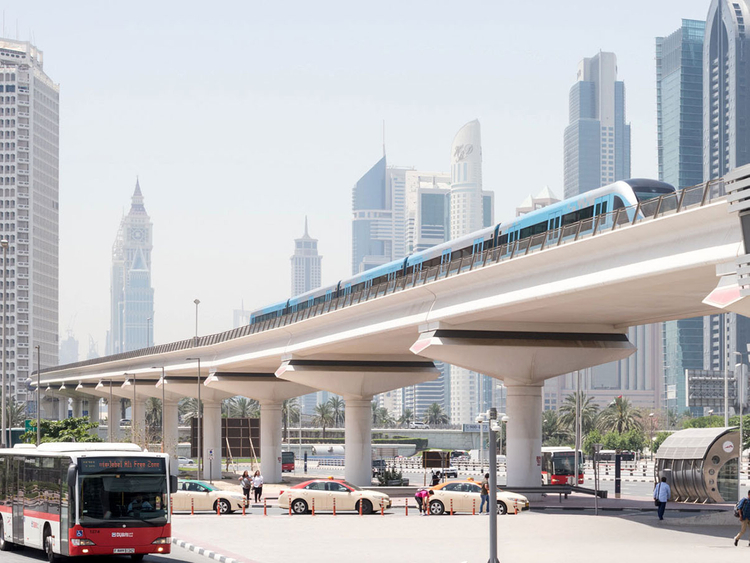 Dubai: Dubai Metro riders will be able to commute seamlessly without any interruption between Dubai Multi Commodities Centre Station (DMCC) and Ibn Battuta Station on the Red Line from April 19, said the Roads and Transport Authority (RTA). Currently, commuters have to use a shuttle bus service between the two stations as the metro service in the sector was suspended in January last year to make way for the construction of Route 2020, which connects with the Red Line at Nakheel Harbour and Tower Station, located in between DMCC and Ibn Batutta. The construction work in the section includes building a new metro station and linking it with the existing station. However, the Nakheel Harbour and Tower station and the attached multi-level parking terminal will remain closed until further notice. “RTA makes every effort to ensure the smooth running of public transit services constantly and seamlessly,” said Mohammad Yousuf Al Mudharreb, Director of Rail Operations at RTA’s Rail Agency. He added that the RTA provided free shuttle buses between DMCC and Ibn Battuta Stations throughout the period of closure of the two metro stations to ensure the smooth mobility of riders. Construction work on the 15km-long Route 2020, an extension of the Dubai Metro’s Red Line connecting Nakheel Harbour and Towers station with the Expo 2020 site, began in 2016 and is expected to complete by this year end. A significant portion of the new line is ready and new trains have already arrived, with trials expected to start later this year. The Route 2020 runs on an 11.8km elevated track and 3.2km underground, supported by seven stations, including an interchange station, a station at the expo site, three elevated stations and two underground stations.